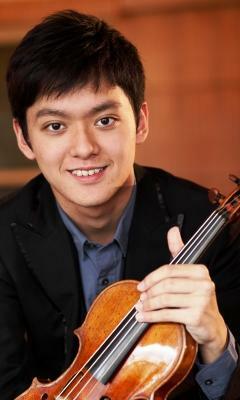 Congratulations to Yu-Chien ‘Benny’ Tseng, 20, of Taiwan, who has won first prize in the first Singapore International Violin Competition, held Jan. 10-21. He will receive $50,000 in prize money, as well as a recording with Naxos, the three-year loan of a fine instrument from the Mr. & Mrs. Rin Kei Mei collection, and other performance opportunities. Third prize: Sirena Huang of the U.S.
Fourth prize: Alexandra Conunova, 26, of Moldova. Sixth prize: Fedor Rudin, 22, of France. For more videos of performances, click here for the Singapore International Violin Competition's Youtube page. I've always been a fan of violin and decided to study but due to financial problems, I wasn't able to continue what I love most so I just try to stay updated. Here in the Philippines classical music seems to be deteriorating and violin is said to be for rich kids only. I never even heard that a violin competition is being held here. It's quite disappointing, for a fan who wishes to see violin concerts within her country. I even wish to play on an orchestra but I'm not even a single step near my wish. Youtube is the only thing that keeps me loving violin.